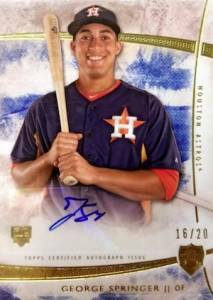 Fans and collectors of the Houston Astros have longed for a contending team with young stars to lead them into the future. 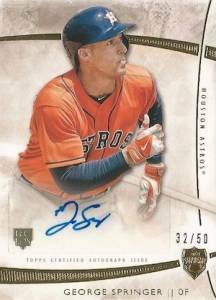 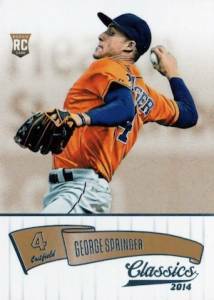 That time has come with a 2017 World Series win, making George Springer rookie cards very popular, especially given his World Series MVP award. 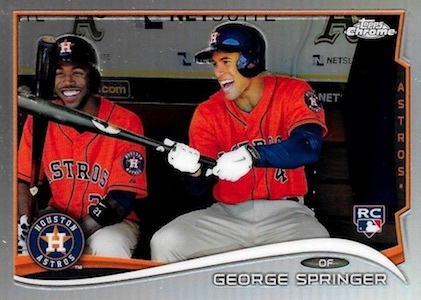 High expectations for further greatness coupled with record-level productivity in the postseason have placed George Springer cards among the hottest in the hobby. 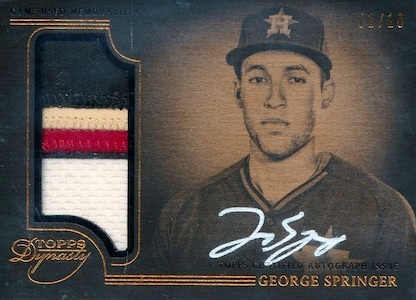 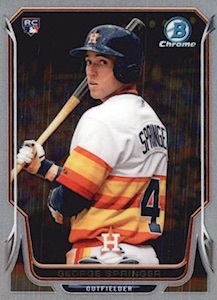 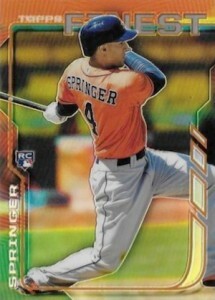 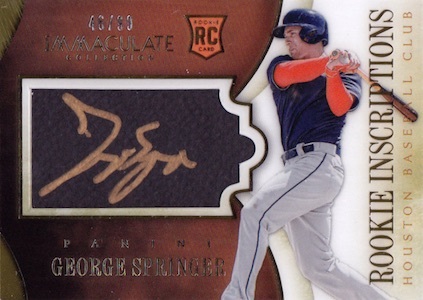 Shop for George Springer cards on eBay. 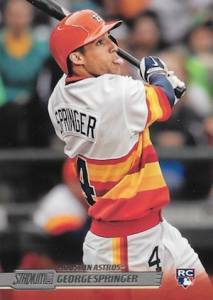 After starting the 2014 season with Oklahoma City, those who invested early got their wish in mid-April of the 2014 season when George Springer was called up and made his Major League debut. 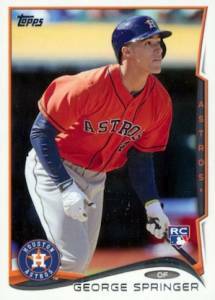 As a result, he's got rookie cards. 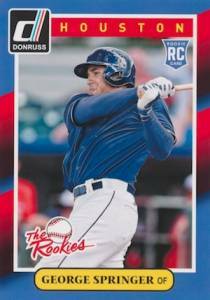 In addition to the rookies shown below, there are plenty of inserts, including other autographs, in 2014 products. 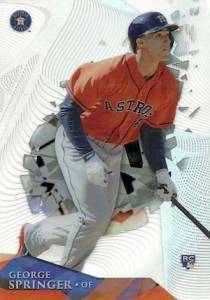 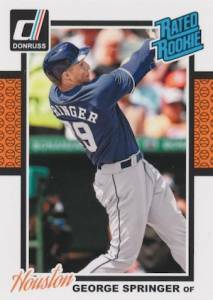 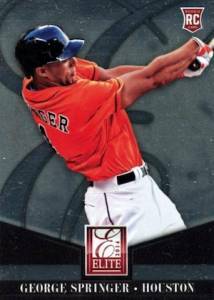 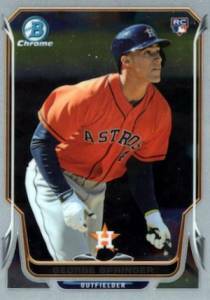 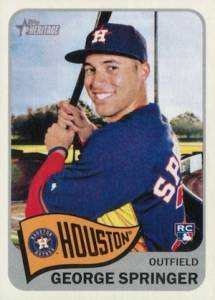 Take a detailed look at his rookie cards and top prospects in our full George Springer rookie card guide. 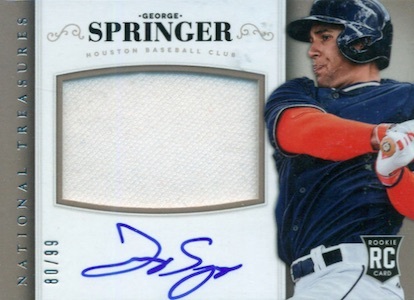 5 POP 1 ULTRA RARE ROOKIE 2014 Topps High Tek BLUE DIFFRACTOR George Springer!! 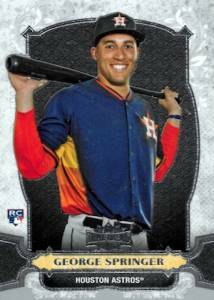 2014 Topps Chrome George Springer RC Houston Astros Rookie Hot!!! 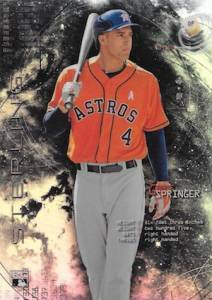 2013 Bowman Platinum George Springer Chrome Prospects PURPLE REFRACTOR PSA 10!